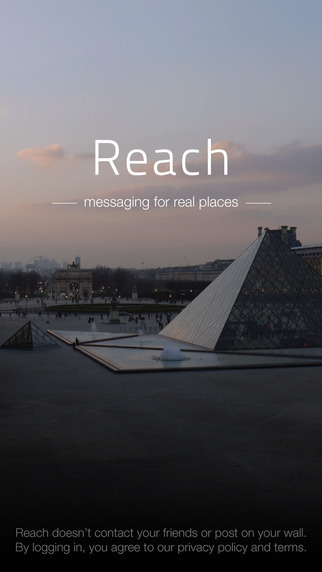 Students from Manchester were selected to be test subjects for the new messaging app Reach. However, it all started off with Cambridge graduate Jessica Bohm and Daniel Setton teaming up to develop the application for anonymous affinity group communication. The Israeli-found startup has managed to attracted around $150 thousand of investments for the development of an iPhone version of their app. The app’s Android version is to be released in the near future. The app combines anonymity together with the ability to exchange messages and discover new people on the basis of your habits, interests and hobbies. “Sometimes you may want to speak to people that share a hobby or interest – from sci-fi movies to being a vegetarian – but we realized people are put off because of privacy issues or worrying about their reputation on sites like Facebook. So that’s when we decided to make the app totally anonymous”, — Bohm explains. The app users create a short text only profile; registration doesn’t require your name nor your email address. After your registration is completed you can look for people like you that share the same interests and are located somewhere nearby. The creators decided to take students from a dorm in Manchester and present them with the honor of being the first users of the app. The next step is to engage all UK universities before next year. They believe they can repeat Facebook’s success, that was created by word-of-mouth magic. Bohm and Setton are hoping to attract over 1 million users by the end of 2015. Over the medium term they’re planning to cover the North American market and the monetization issue. The founders are currently looking for an investment of $1 million, which will be spent on the improvement of UX and marketing needs. The app will soon be available in the App Store and Google Play.